ColorLogic is proud to announce the release of ZePrA 7. The latest version of the smart color server has a host of new features, and includes features that are important specifically to the packaging sector. 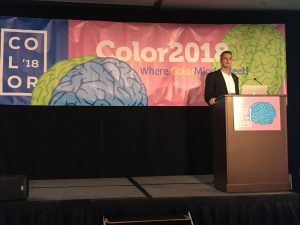 During the #Color2019 in San Diego, ColorLogic CTO Thorsten Braun’s presentation on the importance of Nailing Spot Color Reproduction was a large success, with only standing room left. During the 2018 ColorLogic Day with Impressed in Munich, there were many interesting discussions around digital printing and multicolor applications amongst the three featured color experts and the attendees. 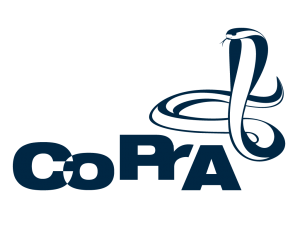 ColorLogic is proud to announce the release of CoPrA 5! The latest version of the profiling solution includes new features and updates to existing functionalities. The application is now even faster and more interactive than ever before. 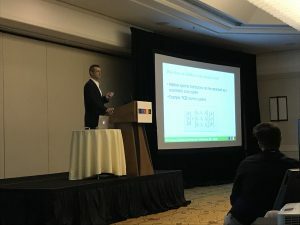 ColorLogic’s CTO Thorsten Braun discusses Creating, Analyzing and Optimizing Measurement Data for ICC Profiles at the TAGA Annual Technical Conference in Baltimore. ColorLogic is proud to announce the release of ColorAnt 5. The latest version of the color correction and optimization tool includes new features and updates to existing functionalities. This update brings more powerful tools to the end user for day to day color management challenges. 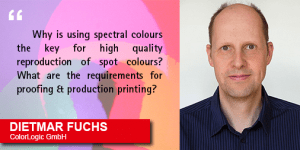 At the FOGRA Color Management Symposium, Product Manager Dietmar Fuchs discussed the different quality levels in spot color conversion, the advantages of spectral data and the support of CxF / X-4 by means of several examples. Another focus was on the different requirements for the conversion of spot colors into PDF data for proofing and print production. 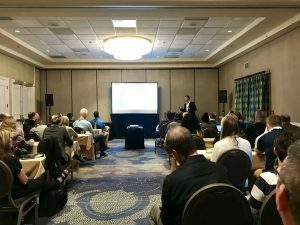 ColorLogic’s attendance at # Color2018 in San Diego was a great success. In addition to numerous interesting discussions and product demonstrations in the exhibitor area of ​​the conference, ColorLogic’s CTO Thorsten Braun showed how using the color server ZePrA makes the conversion of spot colors predictable, efficient and reliable. 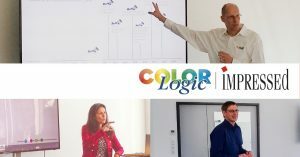 At the fully booked event users, consultants and color management specialists listened to the presentations given by experts from ColorLogic and the German distribution partner Impressed. Focusing on “Multicolor”, various applications were highlighted and solutions based on ColorAnt, CoPrA and ZePrA were shown. “Artgate”, which merges manual art and digitization, was presented as well. All presentations were followed with great interest and inspired lively discussions and exchange. ColorLogic GmbH announced that it’s latest smart color server, ZePrA 6, now includes support for PantoneLIVE™, a cloud-based solution for digitally communicating color across the entire packaging workflow. ZePrA 6 integrates PantoneLIVE in the Spot Color Module, allowing users to directly access spectral values of spot colors and use them for conversion tasks in ZePrA. With inclusion of PantoneLIVE, ZePrA is more versatile than ever before, ensuring that users have access to the most up to date color specifications regardless of where they are located. This ensures color consistency throughout any workflow, reducing opportunity for error, waste and rework. 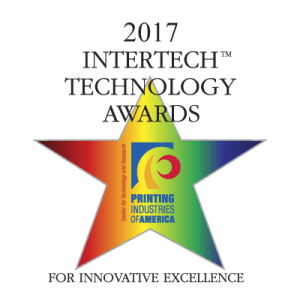 Printing Industries of America has selected fourteen technologies to receive a 2017 InterTech Technology Award. The award is meant to honor unique and innovative technologies that are expected to advance the performance of the graphic communications industry. ColorLogic is proud to announce ColorAnt 4 is among those fourteen technologies receiving the 2017 InterTech Technology Award. This version contains the Measure Tool, which now supports the X-Rite i1iO and the Konica Minolta FD-9. Now it is also possible to change the print sequence of primary colors, to extract spot colors from PDF files and and to export CxF/X4 files. There is a new tool for white and black point modifications and many existing functions have been extended and optimized. Thanks to our long term technology and distribution partners, the steadily growing number of customers, as well as, our growing teams in Germany and the USA, we were able to celebrate our 15th anniversary. In the future we will continue to focus on what we do best – developing innovative technologies and products that facilitate the daily work of our customers around the world. 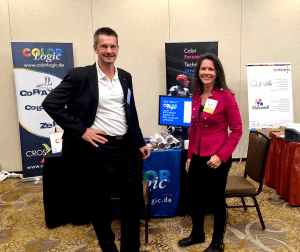 The annual Color Conference 2016, organized by the Printing Industry of America (PIA), took place in Phoenix, Arizona and ColorLogic participated for the first time as a Key Sponsor, also in order to meet the growing demand in the USA. During the four days of the conference, we had the opportunity for numerous presentations, especially around the topic of ‘Extended Gamut’. ‘Multicolor’ was the main focus and many prospective clients were gained. A large number of our customers, especially the numerous online print shops, process masses of data daily using ZePrA and they were pleased with the new MultiThreading feature for increased productivity. Moreover, the cloud based automatic import of color tables and configurations increases productivity and above all production reliability. The expansion of the spot color module by introducing a new report function, which allows to simulate and test spot colors before printing was an key feature to this release. 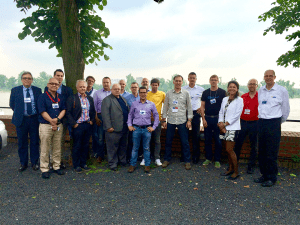 Within the scope of the DRUPA 2016 we organized a ColorLogic day for our partners. The objective was to present the latest innovations in the fields ‘Technology and ColorLogic Products’ in an undisturbed atmosphere and to intensify the network between our partners. This had been very well accepted and there were many discussions aside from the presentations with and between our partners. After an intensive 12 hour exchange of views everyone agreed that the event was a great success and will take place again! The integration of the reprofiling technology for output and DeviceLink profiles made CoPrA 4 the most comprehensive profiling solution. It was complemented by a number of improvements in the areas gamut mapping, accuracy and softness of profiles, the new rendering intent “Minimal White Compression” and additional modes and options for multicolor profiles. In addition to the new user interface ColorAnt 3 offered a variety of new features, above all the possibility to create custom test charts. The new tool CIE Conversion allows the adaptation of measurement data to various lighting conditions. Perhaps the most important innovation was the introduction of the tool Edit Primaries which allows the user to alter primary colors and to recalculate measurement data. This was rounded off by supporting the CxF/X4 format. The close cooperation between the various ColorLogic products was also reflected in ZePrA 4, where the SmartLink module is supplemented by CoPrA SP (Serialized Profiles). This CoPrA version allowed creation of profiles and to define settings which could then easily be used in ZePrA. ZePrA’s user interface was also newly designed and plainly structured, similar to that of CoPrA. The new transparency reduction allowed to properly convert even difficult PDF files containing transparencies that were previously problematic, whereby existing PDF elements remain preferably unchanged. The easy to use auto wizard and the already available presets allow all users to create workflows quickly and reliably. The most obvious change in CoPrA 3 was the new design. Plainly structured with various application areas and new features, including the built-in Profile Manager, these features were the basis for this production oriented profiling solution. This was also reflected increased profile quality and the particular features for special printing methods, such as considering the first printed tone in flexo printing. It also indicated the approach to functionally combine ColorLogic products to a comprehensive solution, for example by enabling CoPrA to share DeviceLink settings with ZePrA. The tools in ColorAnt 2 generate, analyze and process spectral data. This version also considered the special requirements for flexographic printing including the exceptional gradation in the highlights. In order to build a successful and competent team in the USA, Barbara Braun-Metz and Thorsten Braun decided to guide it themselves on site. 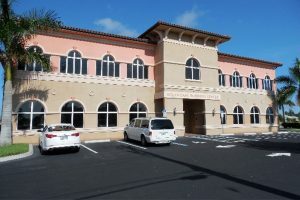 In July 2012 they launched the CrossXColor, Inc. branch office in Cape Coral, Florida. Ten years of developing superior color management technologies and products. Ten years of long standing and successful partnerships with our OEM partners and introduction of our product line including ColorAnt, CoPrA and ZePrA. And above all, ten years of building a great team that not only works together well but is also bound by friendship and has enabled us to achieve all of these successes. This had to be celebrated! Together with our distribution partner IMPRESSED we presented our products at the DRUPA 2012. 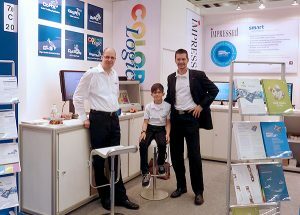 The demand for product demonstrations and technical discussions was so high that we had to call for personnel reinforcements by ColorLogic’s “Two And A Half Men” team. Thus, we were able to competently answer any complex question around the topic of color management on site. This version was characterized by an advanced SmartLink module, a new DLS manager, and a new feature to influence image quality and sharpening of pixel images or images of PDF files. Version 3.5 was further supplemented by a new module for high quality conversions of spot colors into the target color space. In order to competently and effectively meet the growing demand for ColorLogic products in the USA, Canada and South America, a strategic decision made. Merely establishing local sales partners appeared to be insufficient to address this important growth market. Therefore we decided to establish an independent subsidiary in the USA that would support our OEM partners and establish a sales network for North and South America. A wide variety of new features were integrated into CoPrA 2.0 including measurement data corrections to allow best profile quality even for unsatisfactory measurement data, new options for black point calculation, batch profiling for higher efficiency, creation of PDF profile reports and preview profiles suitable for soft proofs of multicolor profiles. Additionally, ColorAnt became an integral part of the profiling module of CoPrA from version 2 going forward. Naturally, this version was released for MacOS as well as Windows. Our experience in the analysis of profiles showed us that frequently its not the profile creation itself that is the cause for many problems such as poor quality, but it is the underlying measurement data. To analyze measurement data better and more efficiently a wide variety of tools were created by our development team. The benefit of these tools was so get that it made sense to combine them in a product and make them available for everyone who has to deal with measurement data. Our product idea for ColorAnt was born. In June 2012 we were able to present ColorAnt 1.0 to the market. Version 2 of ZePrA was mainly characterized by the new SmartLink technology which allowed calculation of DeviceLink profiles for conversions dynamically. The new gradation module and the possibility to integrate ZePrA into complex workflow frameworks by using the Command Line Interface made ZePrA 2 one of the most effective color servers on the market. In recognition of the growing importance of ColorLogic products, it was necessary to bring someone on board who would help us drive products forward, to analyze customer needs and to develop a solution from an innovative application. In September 2008 our former colleague Dietmar Fuchs started his position at ColorLogic. His many years of experience in the area of product management, print and prepress and his cooperation with development departments made him the perfect complement to our team of specialists. ZePrA 1.0 our color server is finished! In the summer of 2008 it was done – the first version of our color server ZePrA had been completed. In the beginning, some critical voices had doubted whether there was a market for such a product. It quickly became evident that our ambitious intentions to develop a color server with its own PDF technology were exactly right. Even though version 1 had its limitations, we quickly identified the potential of such a product, an ICC-based color server that is easy to integrate into different workflows. CoLiPri was accepted by the market better than we would have hoped, however we often received requests for a profiling solution outside the Adobe Photoshop environment. The answer was a Color Profiling Application, which we named CoPrA. Detachment from the Photoshop environment opened up additional possibilities that we would have not been able to achieve in CoLiPri, such as the change between different color spaces. An interesting aspect is that we always use our own Software Development Kit (SDK) as a basis for our products. What was foreseeable in years 2 and 3 became an urgent need in year 4. 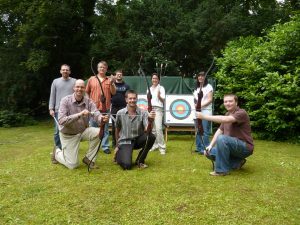 We needed larger premises, and we wanted to expand our team. Since we still favored the concept of “family and company under one roof”, after one year of construction we finally moved into the new premises. With over 130 square meters of office space, exactly tailored to our requirements, we had created the prerequisites which allowed the company to expand its workforce further. After five months, the moment finally arrived: The first version of CoLiPri and our DeviceLink Sets (DLS) were first offered by our partner IMPRESSED. Once we had a prototype from the product idea, we started looking for suitable sales partners. It was important to us to enter into a partnership in which we all work towards the common goal of wisely positioning CoLiPri and our DeviceLink sets (DLS) in the printing industry. Fortunately, we found a sales and consulting company that ‘ticks’ in same way we do – the IMPRESSED GmbH based in Hamburg. 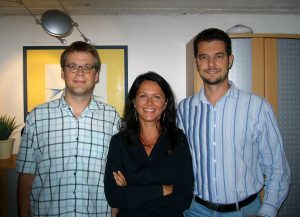 In August 2005, a trustful and friendly cooperation started. Thankfully this partnership has been long standing and one in which we still feel connected with and it forms the basis for successfully marketing our products in the German speaking region. From the very beginning our main focus has been on an OEM business model: To license our technologies to other companies or to develop products for our partners who then market the products under their own name and brands. Today this concept allows us to focus on what we do best – developing first class technologies. Unfortunately, the disadvantage its that 12-24 months can easily pass before a product is presented on the market as an OEM, sometimes even longer. The reason is simply that all activities between the companies need to be synchronized and coordinated and a lot of larger companies have steady product cycles and requirements which must be met. On a car journey after an appointment with a partner an idea was born. What would it look like if we, as ColorLogic, developed and offered a basic product? More like a technology demonstration that shows the requirements DeviceLinks can cover and in an environment familiar to most users, similar to Adobe Photoshop. Soon after, the concept for a Photoshop plug-in that calculates DeviceLinks and can be applied directly in Photoshop had been completed. And we even had a name for it, Color-Link-Print. And CoLiPri was “born”. One of our founding ideas was the development of a color server that was able to color convert PDF and pixel data automatically. When Dr. Björn Seegers decided to support our team with his expertise, we got the PDF expertise that we needed to put this concept into play. Our first OEM project was the development of a monitor profiling tool for Quatographic Technology GmbH based in Braunschweig. In the initial phase, our focus was still on tube monitors, but during development of the first software version our priorities shifted towards CRT monitors and hardware calibration monitors. With the industry in upheaval and we, as a young, flexible company, were able to establish ourselves in this area. As soon as the first project concretized and the development of the newest ColorLogic technologies began, Thorsten Braun started as the technological head at ColorLogic. His experience, especially in the development of color technologies, enabled him to develop conceptual solutions which were intended for continuous development and multiple uses. We, our partners and our customers still benefit from this even today. Many years of experience in the fields of software development, color management, print and prepress coupled with concepts of how to optimize color reproduction created the perfect basis for the establishment of ColorLogic GmbH. 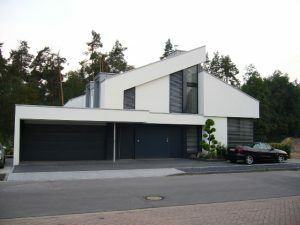 Since company and family have always been a simultaneous priority, an upgraded basement in our private home became the first company headquarter of ColorLogic GmbH.